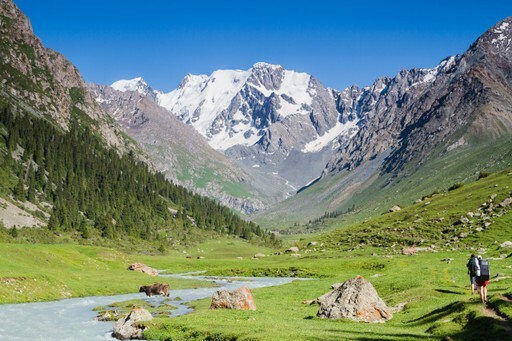 If you have a head for heights, the mountain kingdom of Kyrgyzstan is calling your name. Kyrgyzstan is a masterclass in natural beauty. Known as ‘The Alps of Central Asia,’ this craggy little country more than lives up to its moniker. Blessed with an abundance of mountains, pine forests, lakes, rivers and impressive glaciers, there’s no shortage of eye-popping scenery. Outdoor action is the major draw: hikes or horse treks among untouched alpine meadows and peaks to isolated yurt settlements or sparkling lakes are the undisputed highlight of any trip. Kyrgyzstan is a proud trailblazer at turning tourism into a force for good at a local level, with thriving homestays and community tourism projects scattered throughout the nation. There are many wonderful experiences to be had in this mountainous nation. For further inspiration take a look at the trip ideas put together by our trusted local experts at the foot of this page, but in the meantime here are our top three things to do in Kyrgyzstan. 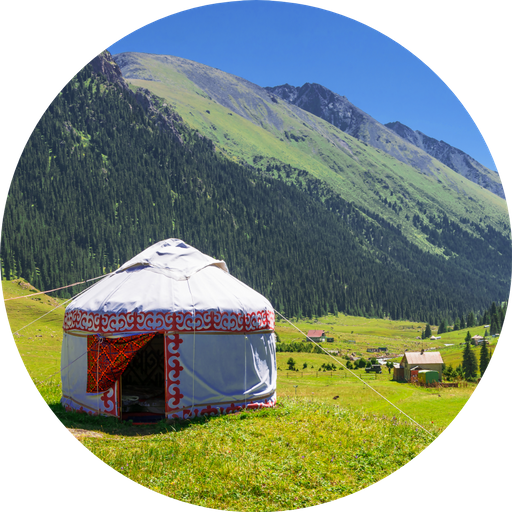 For a truly authentic taste of life in Kyrgyzstan, be sure to spend at least one night in a nomadic settlement camping out under the stars in a yurt. You’ll get right to the heart of what makes this country tick. Imagine spending a day riding the native horses through the mountains before settling down in a valley, filling up in front of a campfire on local dishes and homemade bread then snuggling down to sleep in a traditional yurt. No unnatural light will disturb your star-gazing and all you'll hear is livestock and the wind in the grass. Ninety percent of Kyrgyzstan lies above 1,500 metres: heaven for explorers, trekkers and peak-baggers. Seek out the serene valleys around Karakol, or pit your wits against the 7,000 metre peak of Khan Tengri. There are endless opportunities to wear in your hiking boots no matter your level of experience. Our trusted local experts can plan the perfect tailor-made trekking trip whatever your ability, and knowledgeable guides will bring the environment to life. 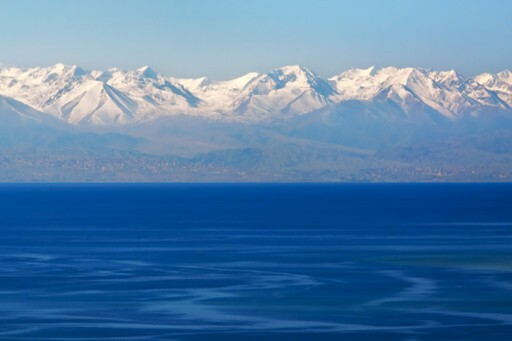 Issyk Kul is the second-largest alpine lake and second-largest salt lake in the world at over 113 miles long and 37 miles wide. Boasting a beautiful snowcapped backdrop, glistening water and pretty beaches, it’s a slice of Kyrgyz paradise. The first three World Nomad Games were held on its shores, hosting several Central Asian countries for days of horse racing, hunting with eagles and numerous other weird and wonderful pursuits, keeping alive the ancient traditions of the nomadic people. When should I visit Kyrgyzstan? Kyrgyzstan’s altitude makes it very much a seasonal destination, and many visitors prefer to make the most of the milder months between May and October. Those keen on trekking should consider early July to mid September as the best season to explore on foot, whereas skiers should pack their bags in time for the best snow in January and February. 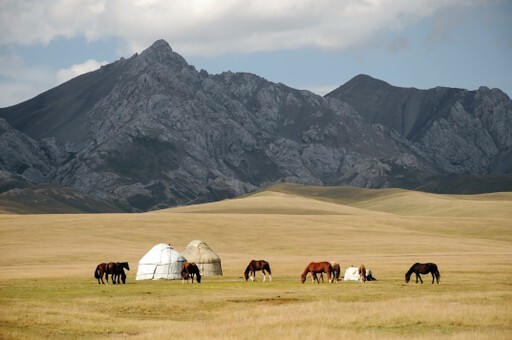 Create your bespoke holiday to Kyrgyzstan!